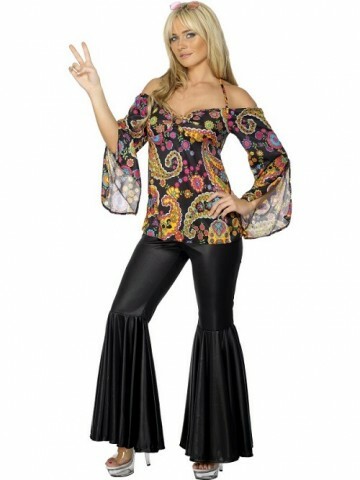 Costume rental Female Hippie will come with a 60's-70's hippie shirt along with flared pants to match. Rental [period is for 3 days. Longer rental periods are available. Call or stop in to reserve this costume. There is a deposit required for rental.